BACK BACK BACK!!! 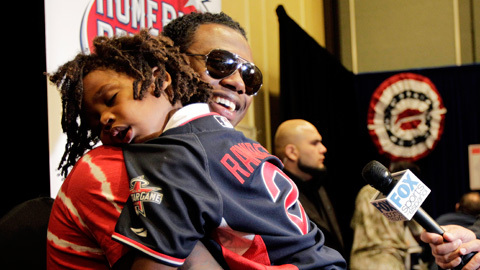 Big Papi wasn’t much of a surprise winner in tonights Home Run Derby, and while I wasn’t personally a big fan of the top two, you have to admit this photo of Hanley Ramirez and his sleeping son is just too cute. 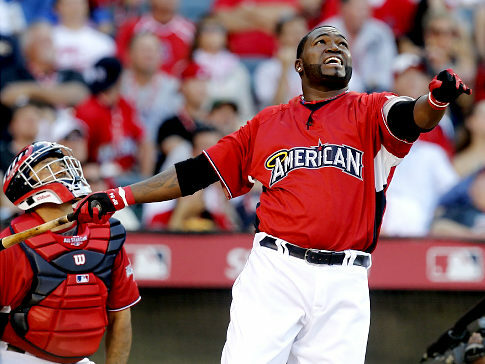 Tune in later on Tuesday for the Ladies… liveblog coverage of this years All Star Game – let’s go National League! Finally, a quick goodbye to a true legend – Bob Sheppard, announcer of (my secretly beloved) New York Yankees from 1951-2007 (and of the Giants from 1956-2006), died this past Sunday at the age of 99. He announced over 4500 games for the MLB and will forever be remembered for “Good Evening, Welcome To Yankee Stadium”. I personally used to wonder why the announcer at Yankee Stadium would announce a player’s position, number, name, and then number again – turns out, that’s just the way Bob did it. Bob, you will be missed greatly by millions. No, I will not bother addressing other recent events involving a certain basketball player signing to a certain team that already took my Wade. 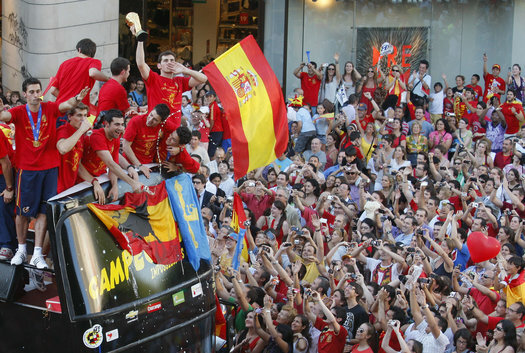 Congrats to Spain and Papi again – you both deserved it!!! And don’t forget to tune in Tuesday night for the Ladies…All Star Game live blog coverage! PS – when you get a chance, check out some images of Papi’s shoes from Monday night. Very hot topic of conversation at the Ladies… live coverage of the derby. This entry was posted in Back-back-back, Baseball, blatant homerism, Buffalita, David Ortiz, Hit and Run, Home Run Derby, New York Yankees, World Cup 2010 by buffalita. Bookmark the permalink. RIP Bob…and The Boss! It’s a sad time for Yankee fans and New Yorkers. Loved hearing Bob’s voice announcing Jeter at the Stadium last fall, even if it was a recording. 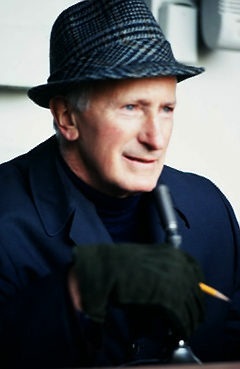 Bob Sheppard, the pride of Ridgewood, Queens. His voice was so majestic and regal, and it sounded like you were in the greatest ballpark on Earth, watching the great team on Earth.